'Illingworth offers six beautifully wrought biographies - finding humour, lyricism and humanity in the lives and work of these six scientist-poets.' Alice Roberts, author of The Incredible Unlikeliness of Being and presenter of Digging for Britain, Coast and Time Team 'This excellent book is a creative collision of Hadron-like proportion, scattering fragments of intellectual curiosity, fluency and unpretentiousness across every page. One of my "discoveries" of 2019.' Lemn Sissay, MBE 'Hard to put down! 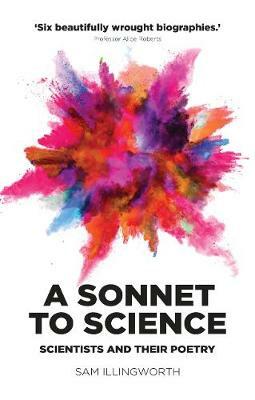 A fascinating book full of comprehensive biographies showing the development of and influences on the poet scientist, illustrated with generous amounts of poetry!' Dame Jocelyn Bell Burnell 'A wonderfully eclectic and uplifting collection celebrating how some of the most remarkable stories of scientific endeavour are fuelled by poetic imagining, and revealing how the gaps between well-worn facts are often infused with things poetical. Great stuff!' Iain Stewart, Professor of Geoscience Communication, Director, Sustainable Earth Institute, University of Plymouth and Presenter on BBC Science -- .